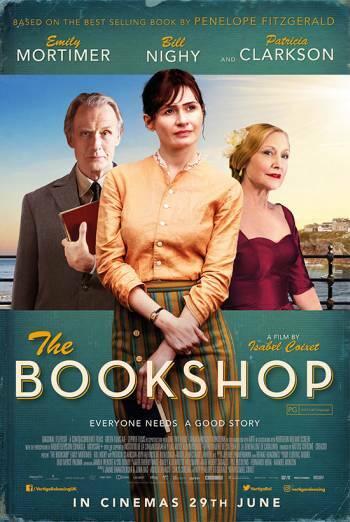 Summary THE BOOKSHOP is a British drama in which a woman opens a bookshop in a seaside town. THE BOOKSHOP is a British drama in which a woman opens a bookshop in a seaside town. There is mild bad language ('bloody'). Very mild terms include 'hell' and 'damn'. In one scene a girl finds a vintage post card with a comic cartoon image of a man ogling a woman's cleavage. Various men and women smoke, in an historic context.